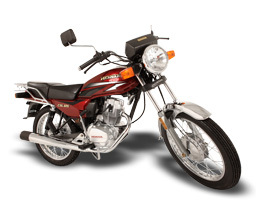 Honda Motosistema collective funds only program authorized by the Superintendency of Securities and Exchange that manages a system of collective funds to deliver certified Honda motorcycle purchase. The system is to form groups of 108 people, who for 36 months provide a monthly cerficate directed to a purchase of a Honda motorcycle. We deliver a monthly drawing motorcycle and two or more for the type of shot, which is a payment proposal delantado quota.